Friday night saw us open a brand spanking new schuh store at Marble Arch in London and instead of just cutting a bit of ribbon we thought we’d do things a bit differently this time. 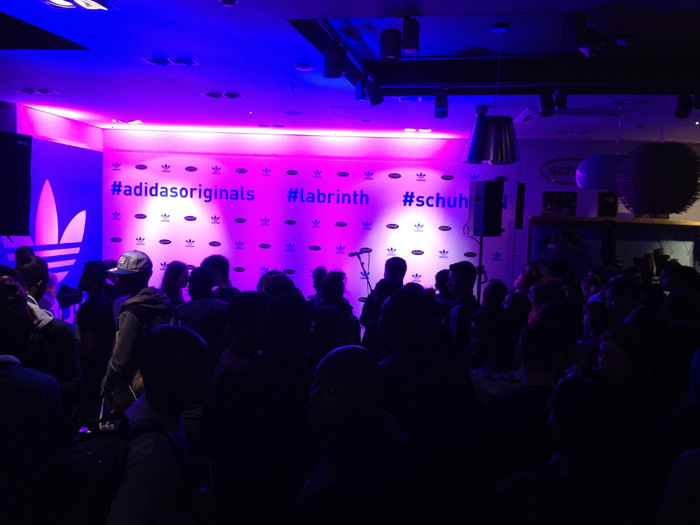 In association with the ace folk at adidas we managed to get the awesome Labrinth to come and play an intimate gig in store, how cool is that? The half hour set saw Labrinth serenade the 150 strong audience with pared-back versions of his biggest chart hits including Express Yourself, Let the Sun Shine, Earthquake and Beneath Your Beautiful followed by a Meet and Greet where lucky fans go to have their picture taken with the man of the hour. 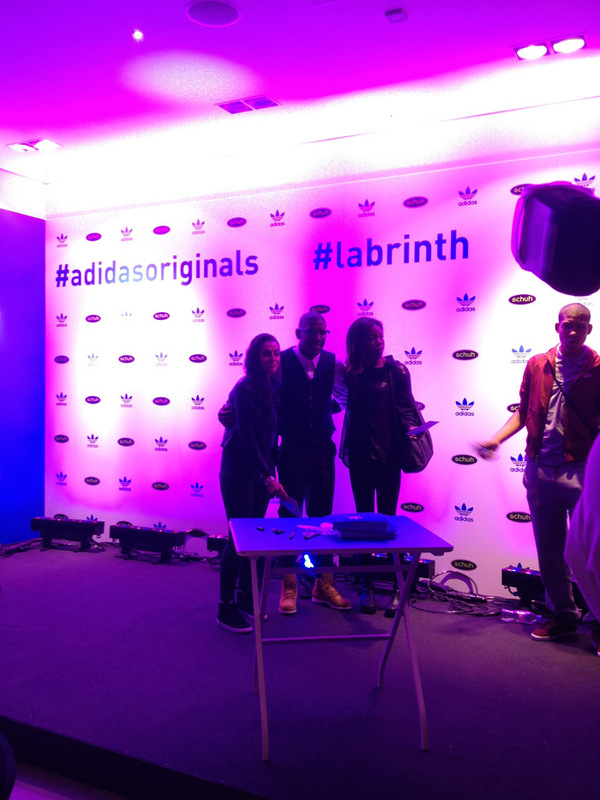 Labrinth was repping adidas on the night and looked great in his adidas Navvys. This outdoorsy style is ideal for the winter months and combines adidas’ casual cool with a more practical silhouette. Get yours here. Ever wondered what’s on a celebrity Rider? 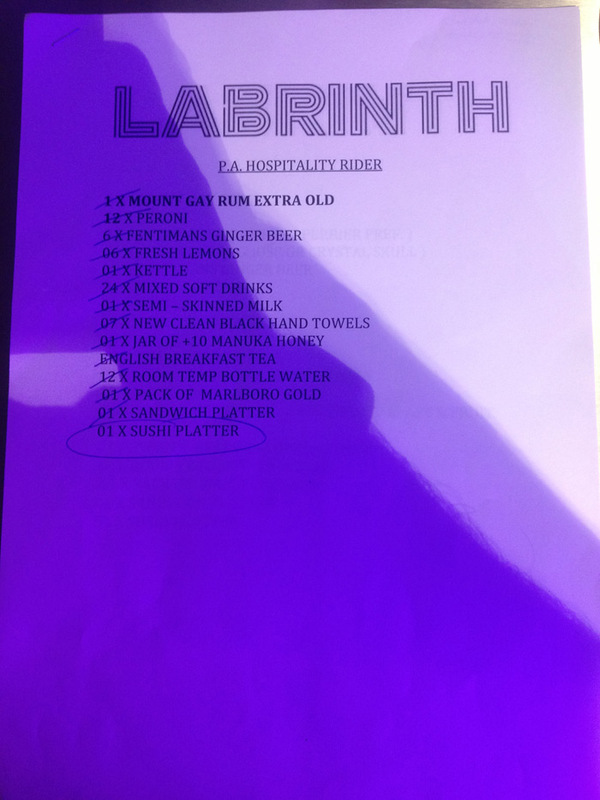 We had a sneaky peek at Labrinth’s backstage Rider and we’re pretty disappointed to say it was perfectly acceptable and not diva-esque at all. We were hoping for something more juicy! While a gig in a shop might be a bit unusual we had a great night and the atmosphere was perfect for a Friday night party! 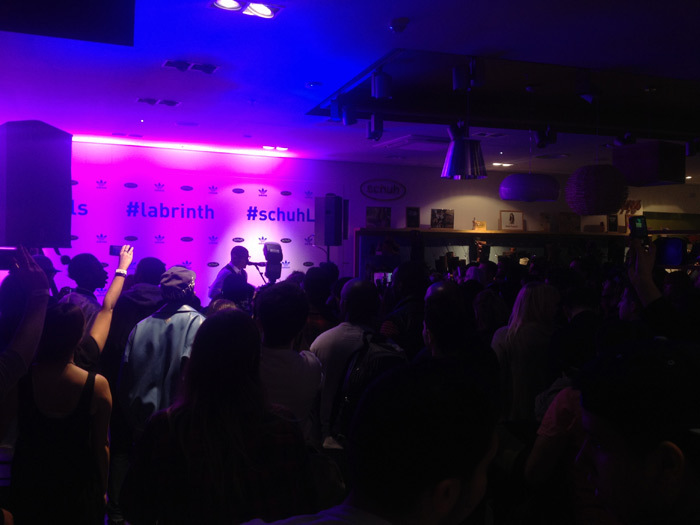 Labrinth’s smooth vocals sounded incredible and one audience member even compared him to a young Ray Charles! The new store is looking brilliant so we really recommend you pay it a visit. 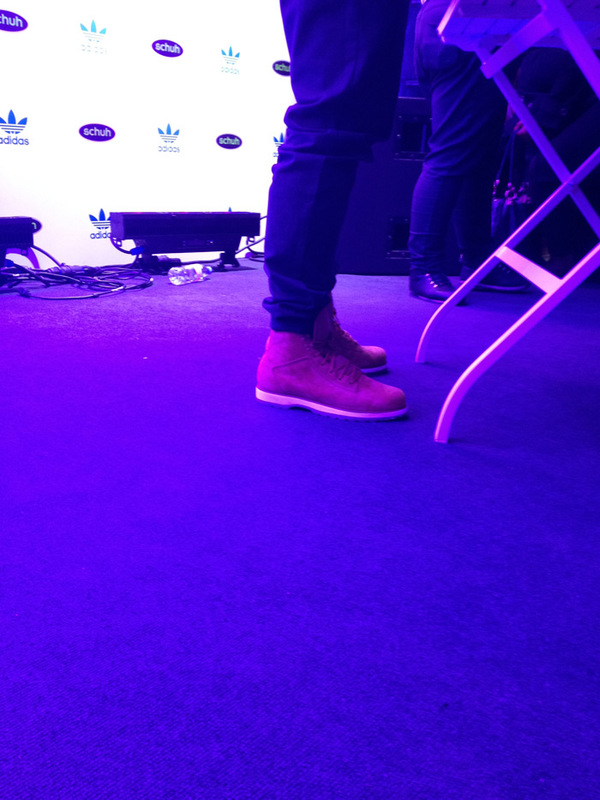 Also, a massive thanks to adidas for putting the gig on! If you want to check out some of the great adidas styles we have in store, browse the collection here.